The 2011 Australian International Design Awards are currently underway. For a rare opportunity to meet this year’s judges and view more than 200 innovative products vying for an Australian International Design Award, register to attend The Good Design Q & A session. The session will be held at the UNSW Roundhouse on Thursday 19 May from 6 to 9pm. Tickets are $50 for corporate and $25 for students. The evening will be hosted by Michele Elliot, Co Founder of What If! and Director of Inspirate. It will feature a thought provoking and stimulating Q & A session with select members of this year’s Judging Panel including design experts from Mercedes-Benz, Samsung, Designworks USA and more. Twelve of Australia’s most talented industrial design students have been named finalists in the 2011 Australian Design Award – James Dyson Award, Australia’s top student design award celebrating its 10th Anniversary this year. This year UNSW Built Environment has four industrial design student finalists in a field of twelve. 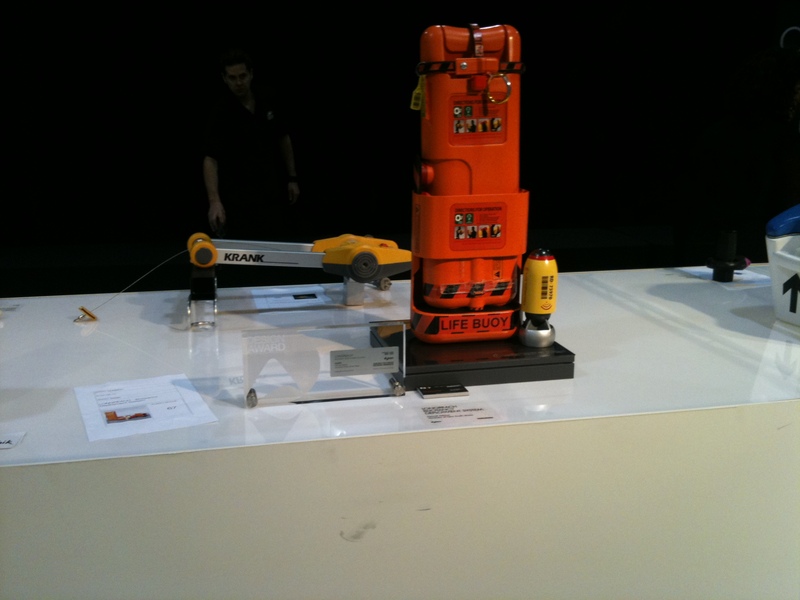 We would like to congratulate Berty Bhuruth, Richard Webb, Chris Fox, and Eric Chau (Hy-Jack Low profile telescopic hydraulic jack project, image featured above). 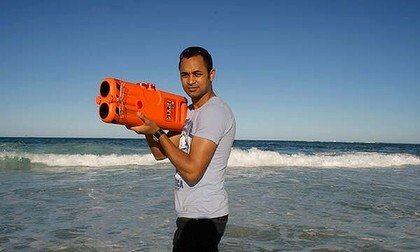 The award was won in 2010 by UNSW Industrial Design student Sam Adeloju for his design of a flotation device that could save swimmers from drowning. 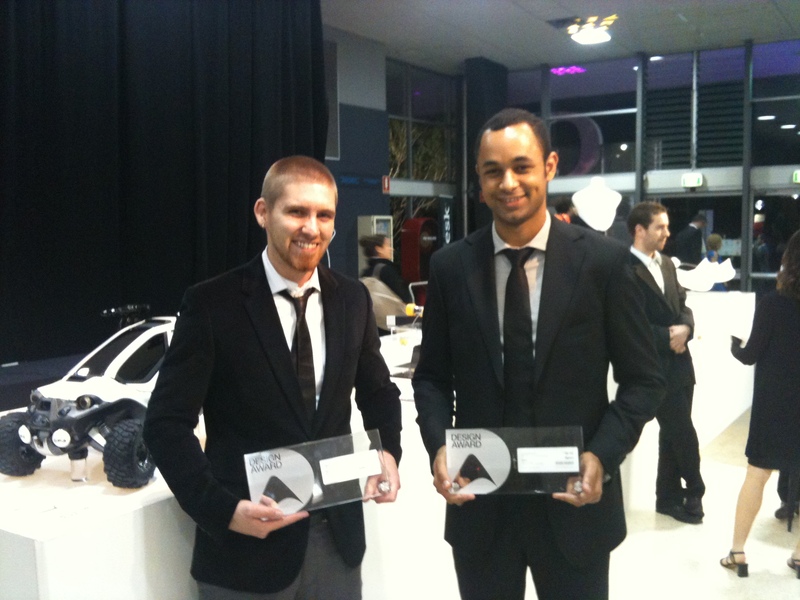 The winners of the 2011 Australian Design Award – James Dyson Award will be announced alongside industry winners at the 2011 Australian International Design Awards presentation ceremony on Friday 22 July 2011 in Melbourne. Click here for more information about the award and the finalists. Sam Adeloju, UNSW BE Industrial Design student, was just announced as the winner of the $16,000 James Dyson Award for the design of a device that could save swimmers from drowning. Sam’s design, named Longreach, with the unofficial name “Buoyancy Bazooka”, shoots an emergency flotation device 150m out to sea. Made from hydrophobic foam, the buoy can expand up to 40 times its size on contact with water so the swimmer can stay afloat without the risk the buoy will spring a leak. 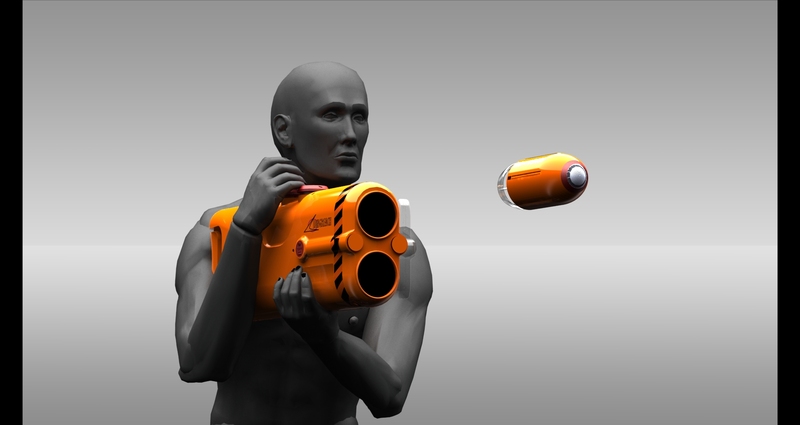 The device is also equipped with flares for night time. Sam is the first Australian to win the award in five years, and is in talks with Surf Life Saving Australia about conducting field trials. Winning this prize will give the Longreach international exposure. Sam will recieve $16 000 in prize money, and a trip to the Dyson laboratories in Britain. UNSW will also receive $16,000 for Sam’s fantastic achievement. For a full article on Sam’s achievement, click here. Last Friday night three recent graduates of the UNSW Industrial Design Program were lucky enough to be invited to the Australian design community’s night of nights, the Australian International Design Awards. As one of these fortunate graduates, I was lucky enough to be rubbing shoulders with designers of some of the latest and greatest new products designed by Australian companies and design houses. As a finalist in the Student Design category, sponsored by James Dyson and Dyson Australia, it was a privilege to be involved in the awards and the media coverage that came with it. We have all been featured in articles in the Sydney Morning Herald and on Channel Seven’s Today Tonight and I am confident that this exposure and encouragement will ensure that we all continue our passion for design and innovation. 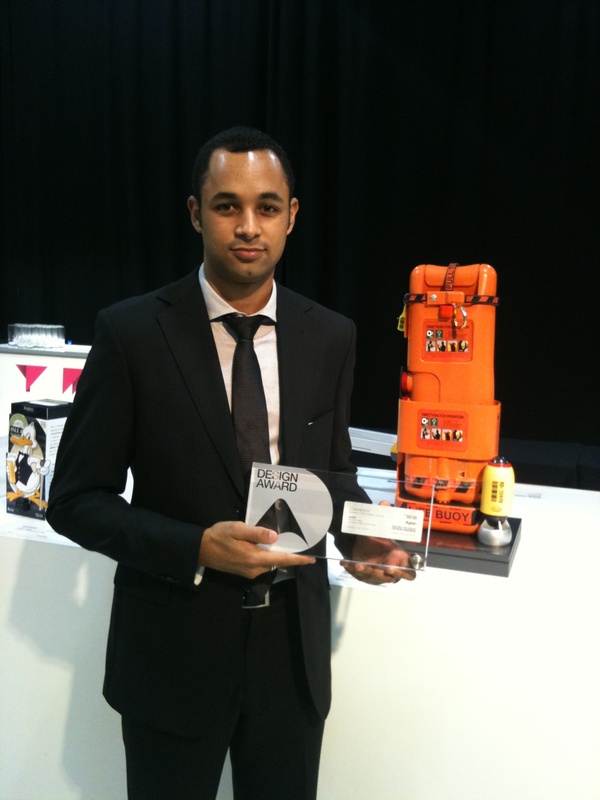 My product, The Longreach Water Rescue System, was awarded the Silver Medal for the Student Category. 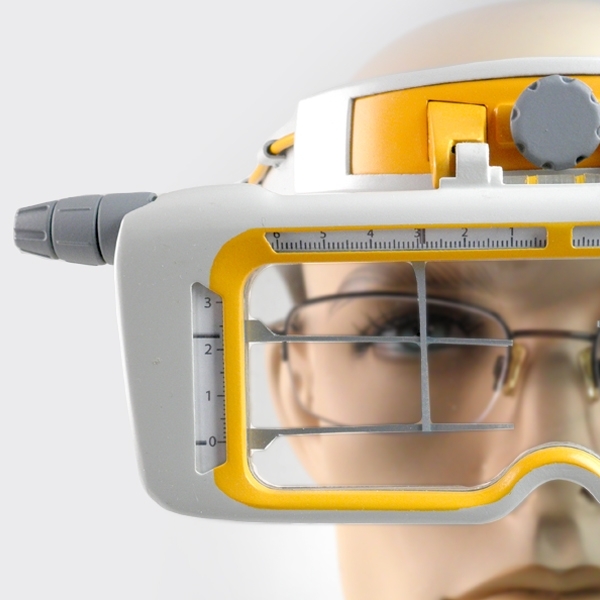 Longreach, is a man-portable system that allows for the rapid conveyance of temporary, water-activated buoyancy devices to a drowning victim’s location. It is designed to allow a victim to remain buoyant while rescue personnel prepare the appropriate response to the situation. The rescue package uses hydrophobic or rapidly expanding foam to provide buoyancy once the package contacts the water. This allows the package to be vastly smaller in size than any currently existing buoyancy device. Equipped with a light for attracting attention the Rescue Package can be propelled over 150m. Longreach is also equipped with Para-Flares for night-time Illumination. Longreach is designed to be simple to manufacture and easy to handle. Ideally used by emergency services personnel or a ship’s crew, Longreach has the potential to significantly reduce the number of drownings at sea. At the awards night, I met a number of my peers from across the country. It was great to see the passion that we shared for design and problem solving and it was great to be able to quiz people about their unique and interesting designs. It was also good to see people who were not familiar with the awards or our designs, coming up to ask questions about their functions, construction and benefits. I was also approached by a researcher from the ABC TV show, the NEW INVENTORS, who has arranged for Longreach to appear in an upcoming episode of the show. As I work towards getting Longreach ready for production and explore different opportunities for my product, all the media and industry encouragement I have received reaffirms my belief that Longreach has the possibility to greatly benefit the wider community. In the mean time I know that there is a long way to go, but that this big kick-start that I have been given is not to be taken lightly and will not be wasted. Hopefully you will see Longreach on New Inventors soon, and in production soon after that. UNSW Built Environment congratulates Jason Lam and the other Dyson finalists! Jason Lam received the silver award this past weekend in Melbourne at the 2009 International Australian Design Awards – Dyson Student Awards. Jason, along with four other UNSW Industrial Design students were finalists in this year’s competition. 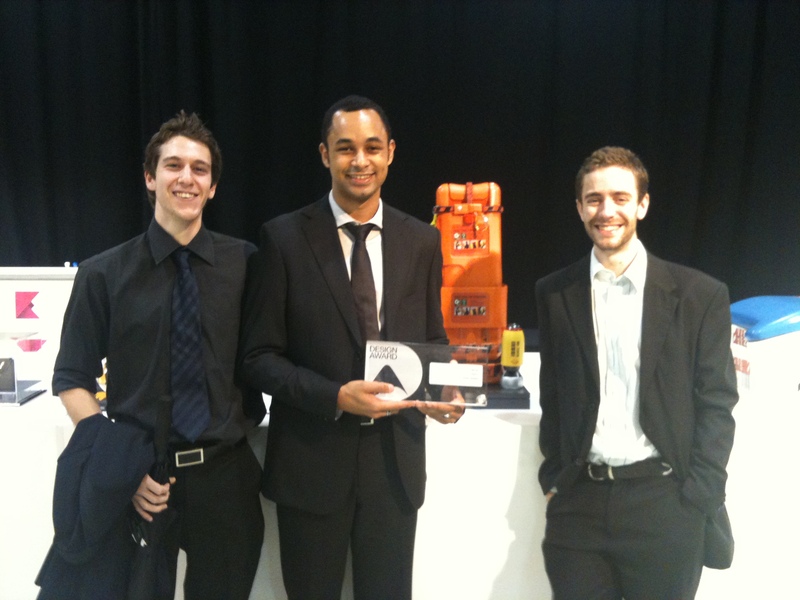 Jason was awarded for his design of Solaqua – a water solar sterilisation system. Solaqua is a water disinfection unit to be used in rural sub-Saharan Africa. It utilises ultra-violet and infra-red rays from the sun to eliminate pathogens within contaminated water. Raw water is first passed through a sari cloth filter to improve efficiency of solar water disinfection (SODIS). A five tap funnel fills five specially designed bottles to obtain ten litres of water. By spreading and laying the bottles on the ground, the transparent bottle surface allows maximum exposure to UV rays. The black, back surface of each bottle absorbs heat, while reflective inner surfaces reflect UV rays within the water itself. Movement is crucial to our lives, however current methods of transportation are limited in the way they can be used and have a clear, negative impact on the environment. With a rising population and population density, there is an increasing demand on an already limited infrastructure. The Link scooter system is designed as a modular transport solution that can be retro-fitted to existing Streetscape Smart Poles. Link operated by housing share-scooters in a series of hubs. The hubs act as both a charging station and as the hire and return station for the scooters. This system gives the user independent movement at any time. The scooters and hubs are constructed from a series of robust aluminium castings and pressings. These parts house polycarbonate and ABS mouldings, which form the physical interface, including the scooter release and power indicator. Each scooter is fitted with NiMH rechargeable batteries and a 24 V electric motor, which assists the user when traveling between hubs. The system works as a public hire and share network similar to those in other countries, such as Velib in France.